Disaster Recovery is a critical part of your business continuity plan. The Mission Critical Planner is designed to get you started right away with constructing your plan – with sample procedures that you can use as-is or modify to suit your special business needs. 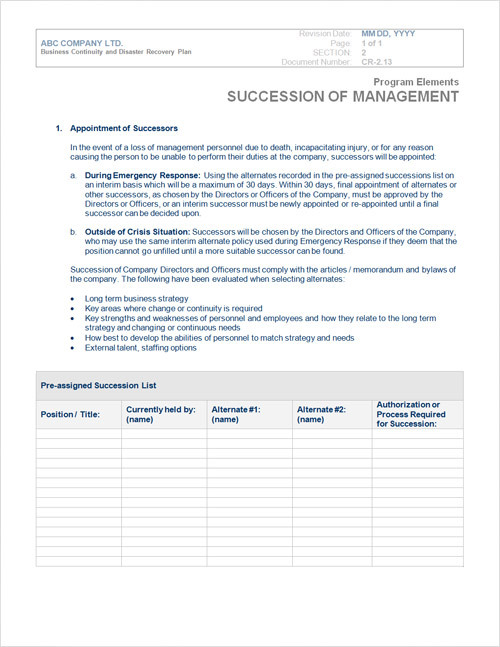 Below, is a sample disaster recovery plan template form created with MS Word for the Mission Critical Planner. Download the sample Word document here.